“It is unacceptable that only half of children born to women living with HIV are tested as infants and less than half of HIV-positive infants initiate treatment” said Dr. Chewe Luo, Associate Director and Chief HIV/AIDS, UNICEF, during her closing remarks at the satellite session on “Bringing the Test to the Patient: Results from the Early Routine Use of Point-of-Care (POC) HIV Testing in Resource-Limited Settings” held during the 9th International AIDS Society Conference on HIV Science in Paris, July 2017. Panellists at the session shared early lessons learned from implementing POC diagnostics, an innovation that addresses the challenge of testing and treating infants early enough to save their lives. Three main themes emerged from the presentations: (1) early results show that POC HIV diagnostics can contribute to better health outcomes for children; (2) the capacity of POC technology to perform multiple testing is promising; and (3) early results point to the potential financial impact of POC HIV testing. The results presented were clear and promising. Nearly 300 people attended the session. The packed room was a testimony to the commitment and interest of so many in this urgent issue. A multi-country evaluation implemented by EGPAF showed that with POC diagnostics, nearly all caregivers (99.6 %) received HIV test results for their infants and 87 per cent of children who tested HIV-positive were initiated on treatment immediately, compared with the standard of care (conventional laboratory testing), in which 77 per cent of caregivers received HIV test results and 73 per cent of children who tested HIV-positive started treatment. The median turnaround time from time of test to return of results decreased from about 53 days to 0 days when using POC EID. Results from a pilot in Côte d’Ivoire and a randomized control trial in Mozambique mirror these findings. In Côte d’Ivoire, POC devices were placed in district health centres, which served as the main POC testing sites for surrounding primary health care centres. This “hub-and-spoke” approach maximized the capacity of POC devices and made them more accessible for children living in harder-to-reach areas. Median turnaround time decreased to 0 days at hub sites and 2 days at spoke sites and rates of ART initiation among children increased to 83 per cent in Cote d’Ivoire. Lara Vojnov from WHO pointed out that Mozambique has reported a seven-fold increase in ART initiation among children and a 40 per cent increase in retention rates. Mozambique is one of the countries that pioneered the deployment of POC technologies for HIV testing. Some POC platforms can already perform multiple tests concurrently, including tuberculosis (TB) and HIV testing, a capacity that is urgently needed given the high rates of TB/HIV co-infection in the focus countries. A pilot study in Zimbabwe showed that providing integrated TB/HIV testing through GeneXpert, a POC device, is indeed feasible. As Raiva Simbi of Zimbabwe’s Ministry of Health and Child Care said: “There is no HIV, no TB, no EID, but one person.” The turnaround time for results was reduced significantly – from an average of 14 days with conventional lab testing to within 24 hours with POC testing – for 68 per cent of EID tests, 52 per cent of TB tests and 28 per cent of viral load tests; and all results were returned within seven days. In fact, prior to the pilot, the Government of Zimbabwe had endorsed Cepheid GeneXpert as the platform for initial diagnosis of TB. 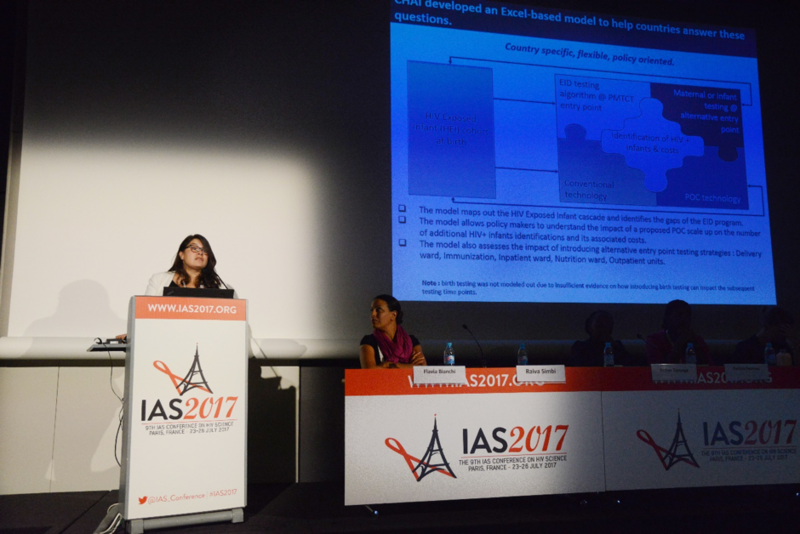 CHAI shared a modelling tool that enables governments and policymakers to assess the impact of POC testing at various entry points beyond prevention of mother-to-child transmission (PMTCT) of HIV. Although POC testing within PMTCT programmes increased the number of children tested for HIV, it is not sufficient to close the paediatric treatment gap. As Jenna Mezhrahid of CHAI noted, expanding POC testing to immunization and nutrition clinics could accelerate the identification of children with HIV. For example, in nutrition wards alone POC testing would increase infant identifications by 59 per cent compared with conventional testing. She concluded that combining POC scale-up with nutrition entry points would provide the best return on investment. Health outcomes are a key measure of the effectiveness of POC diagnostics, and financial impact is an important factor as scale-up is considered. When analysing costs, it’s important to not only consider the price of the test cartridge itself, but also comprehensive operating costs of delivering EID testing services, as well as the rate of results return to caregivers. In EGPAF’s multi-country analysis, the cost per POC EID test result returned to caregiver ranged from USD$19 to $39, as compared with the cost per convention test result returned ($21 to $32). The reliability and quality of POC HIV diagnostics require an uninterrupted supply and procurement of the devices and inputs required to operate and maintain them, thus effective procurement, supply chain management and service and maintenance are key components of cost. During the session, Esther Turunga of EGPAF underscored the importance of monitoring the performance of manufacturers to ensure the optimal functioning of the equipment in order to ensure uninterrupted delivery of testing services. Variables include the functionality of devices and consumables delivered, service and maintenance costs if machines break down, error rates and repair time. As POC is scaled up, new approaches can enhance its use and added value. In Mozambique, the use of mobile networks to provide real-time data on POC performance led to a decrease in error rates from 11 per cent to 5 per cent even as testing volumes increased. The connectivity has simplified and expedited follow-up care of positive cases for ART initiation, and enabled providers to determine the origin of each sample and where each client was tested. Panellists in the session raised the importance of moving from cost per test to cost per result returned to the caregiver, taking into account the operational inputs as well as delays and errors involved in getting the test result to the patient. Determining value for money must go beyond quantifying the cost of testing; it must also reflect the cost of linking patients to care and effective treatment. The benefits of POC HIV diagnostics by identifying children with HIV and enabling them to start treatment as soon as possible have been verified by these early lessons learned. And the potential for POC platforms to facilitate integrated care by testing for more than one disease at a time is encouraging. However, doing so requires breaking down some of the silos that continue to exist in health programmes. 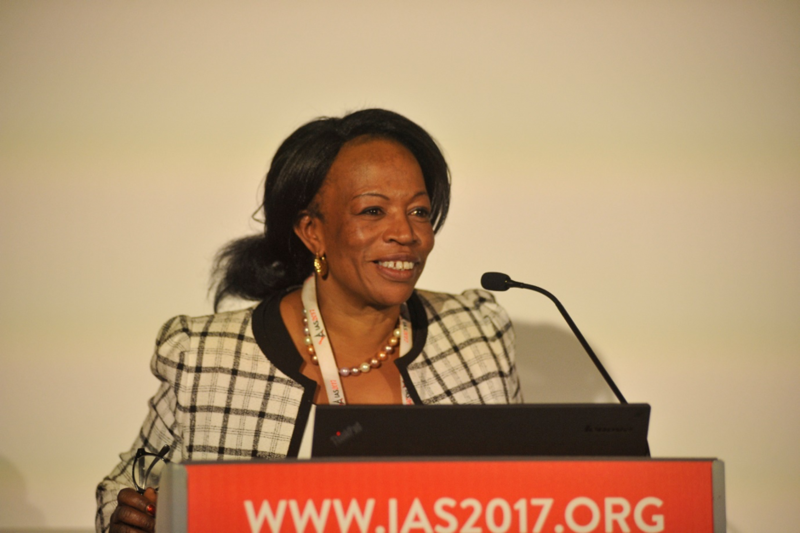 Although the emerging evidence is compelling, POC diagnostics are not a panacea for the challenges in testing children born to mothers with HIV and treating children who are identified as HIV-positive. Long-term sustainability is also a concern, as POC scale-up is largely funded through donor support. 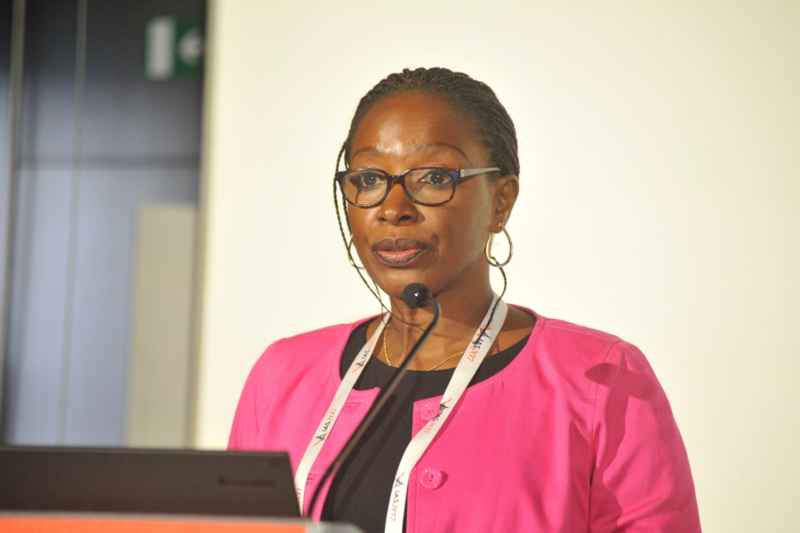 However, the deployment of POC diagnostics presents an opportunity to strengthen national laboratory networks – a key objective of the Unitaid projects featured in the session. Many of the difficulties experienced in POC implementation are the same ones facing conventional laboratory systems. POC relies on the same infrastructure, human resources, supervision systems and quality assurance processes as conventional labs. Therefore, as POC HIV diagnostics are more routinely used, adequate training, supervision and performance monitoring systems must be in place and prioritized. HIV progresses rapidly in children. Waiting for more than 2 months for test results is simply not an option for children who may be living with HIV. Studies from various settings have shown that the routine use of POC HIV testing is feasible and can contribute to improved patient outcomes. As POC technologies are adopted more widely, the lessons learned from these programmatic experiences can inform and refine strategies for its effective implementation. POC HIV diagnostics is an innovative tool to save children’s lives. Now there is evidence that when used effectively it can bring testing closer to children and start them on treatment earlier. 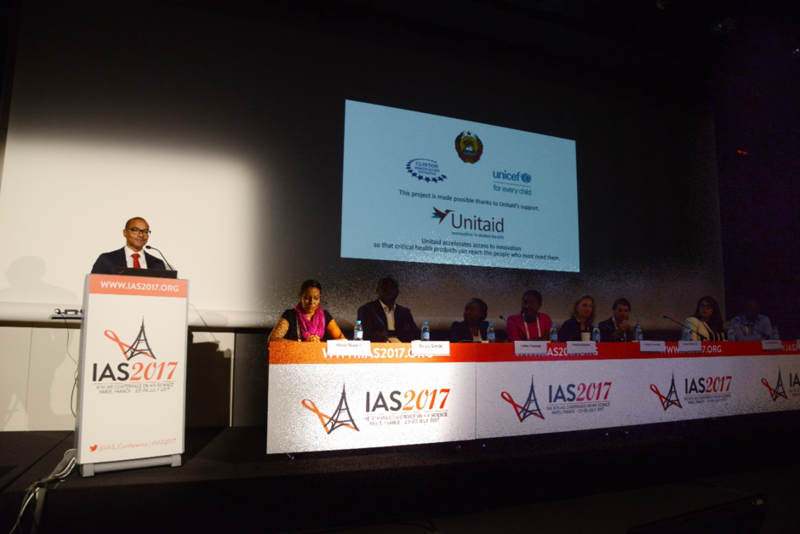 The session was jointly organized by Unitaid, the Elizabeth Glaser Pediatric AIDS Foundation (EGPAF), Clinton Health Access Initiative (CHAI), UNICEF, and the African Society for Laboratory Medicine (ASLM). 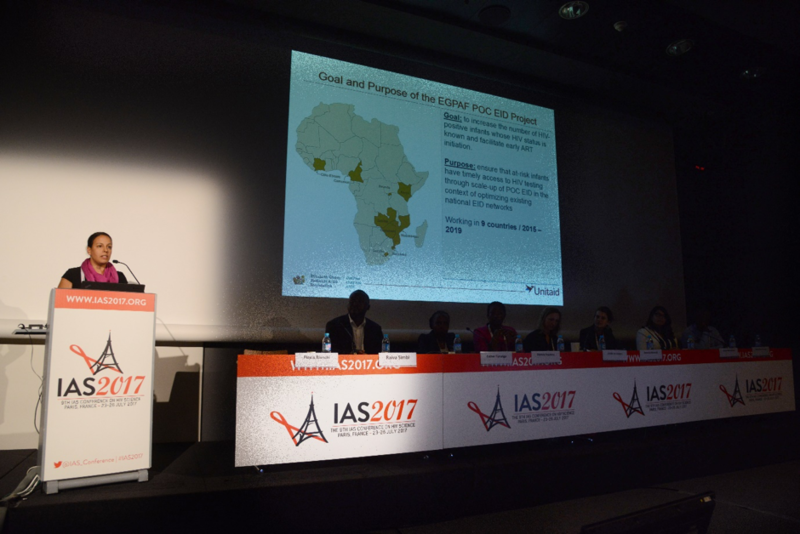 The partners are implementing Unitaid-funded projects to scale up POC early infant diagnosis (EID) and viral load monitoring in 15 countries in sub-Saharan Africa that account for nearly half of new paediatric HIV cases globally. These projects are made possible with Unitaid's support. Unitaid accelerates access to innovation so that critical health products can reach the people who most need them. The presentations from the Satellite Session can be found on the IAS website. Fassinou P. (2017). Routine use of point-of-care EID testing in Côte d’Ivoire: Early lessons learnt. 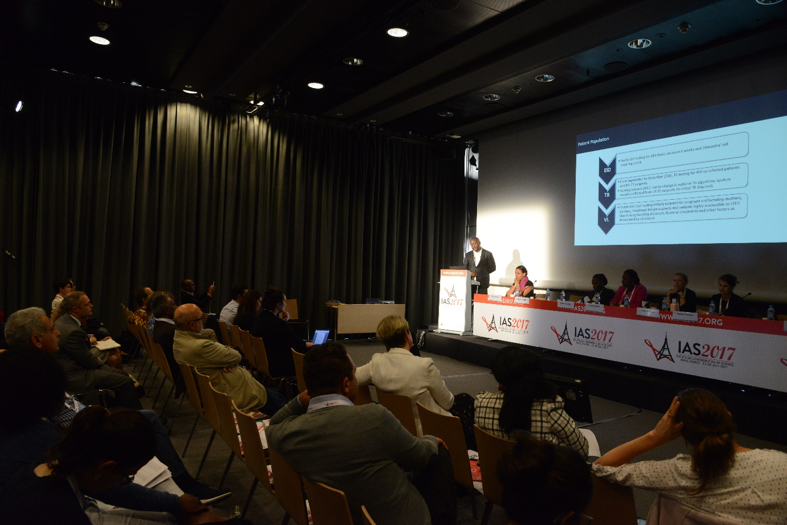 Presentation at Bringing the Test to the Patient: Results from the Early Routine Use of Point-of-Care HIV Testing in Resource-Limited Settings” Satellite Session. 9th International AIDS Society Conference. July 23-26, 2017. Paris, France. Simbi R. (2017). Leveraging excess GeneXpert capacity to integrate HIV and TB testing services: A case study from Zimbabwe. Presentation at Bringing the Test to the Patient: Results from the Early Routine Use of Point-of-Care HIV Testing in Resource-Limited Settings” Satellite Session. 9th International AIDS Society Conference. July 23-26, 2017. Paris, France. Mezhrahid J. (2017). Patient impact and financial impact of implementing recommended WHO EID testing algorithm – at/near-birth testing, entry points, and POC.Bringing the Test to the Patient: Results from the Early Routine Use of Point-of-Care HIV Testing in Resource-Limited Settings” Satellite Session. 9th International AIDS Society Conference. July 23-26, 2017. Paris, France. Turunga E. (2017). Tracking manufacturer performance to ensure uninterrupted provision of timely, high quality EID test results. 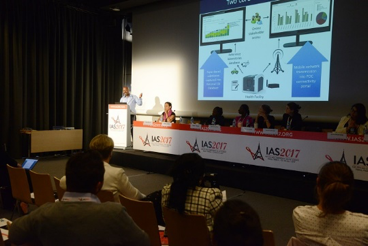 Presentation at Bringing the Test to the Patient: Results from the Early Routine Use of Point-of-Care HIV Testing in Resource-Limited Settings” Satellite Session. 9th International AIDS Society Conference. July 23-26, 2017. Paris, France. Mudenyanga C (2017). Using data to monitor POC device performance and error rates. 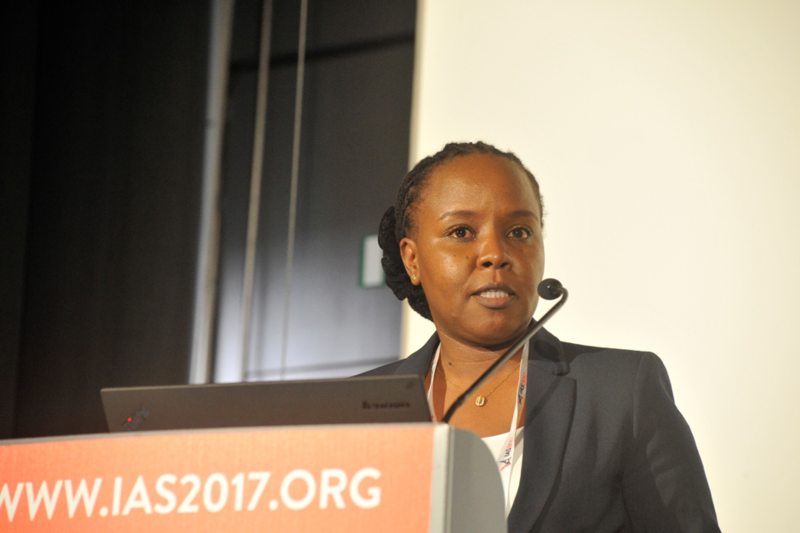 Bringing the Test to the Patient: Results from the Early Routine Use of Point-of-Care HIV Testing in Resource-Limited Settings” Satellite Session. 9th International AIDS Society Conference. July 23-26, 2017. Paris, France.